Verizon and Nokia reported testing “5G” New Radio (3GPP release 15) technology in the outdoors using multi-carrier aggregation to boost the transmitted signals. Verizon deployed its 28 GHz millimeter-wave spectrum in the trial, saying it cut latency to 1.5 milliseconds while transferring data at 1.8 gigabits per second. Transmitting interactive VR and 4k video streams outdoors required a consistent, stable, reliable 3GPP NR 15 network connection. Adding in carrier aggregation over four carriers increases the bandwidth and speeds of the transmissions to the levels promised by true 5G technology. 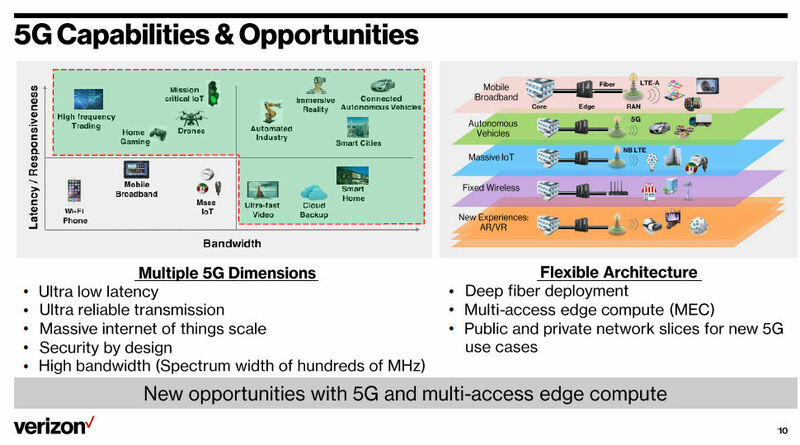 When customers begin to use 5G NR technology, they will look to leverage that type of reliable connectivity to stream high-definition video without buffering, experience improved AR/VR capabilities, and use other mobile 5G solutions in ways we haven’t yet imagined. Previous Nokia/Verizon 5G tests were done in the lab and were only brief data packet transmissions. The testing announced today is far closer to the way in which subscribers actually will use the 5G. Verizon says it will launch stationary 5G in Los Angeles, Sacramento and two other U.S. markets during the second half of the year. A mobile version will follow. Nokia and Verizon are cooperating deeply on 5G. In February, the companies – along with Qualcomm – successfully tested a 3GPP-compliant NR 5G call. The call was made over licensed spectrum on a 5G NR prototype device from Qualcomm. The spectrum was provided by Verizon and the networking technology by Nokia. The test was conducted at a Nokia facility in Murry Hill, N.J. The competition to announce 3GPP compliant NR deployment is intense. Nokia also is working with T-Mobile. Last week, the wireless carrier said that the companies completed a bi-directional over-the-air 5G data session on a 3GPP-compliant NR system at T-Mobile’s Bellevue, WA lab. Note: All should know that 3GPP is not a standards body and that their NR specification has not been submitted to ITU-R WP 5D for IMT 2020. The first 3GPP submission for IMT 2020 RIT won’t be till late July 2019. Verizon will initiate its NG-PON2 deployments in Tampa, FL, with Calix network equipment. The telco is expected to use the technology for higher-speed enterprise broadband, small-cell and fixed wireless backhaul. 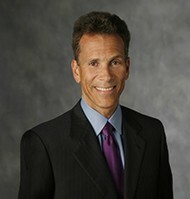 “We’re looking at this platform to cover residential, business and wireless carriers,” said Verizon’s Vincent O’Byrne. Verizon and other carriers are expected to use NG-PON2 to support higher-speed business services, as well as backhaul for small cell networks. In Verizon’s case, the technology also will be used to provide backhaul for fixed wireless, according to O’Byrne. “As we go forward, we’re looking at this platform to cover residential, business and wireless carriers,” said O’Byrne. NG-PON2 will be the access portion of Verizon’s vision for the “intelligent edge” network, which also will comprise unified transport and core network changes, he said. “NG-PON2 is the part that hits customers,” he added. Although the Tampa, FL NG-PON2 deployment will use equipment from Calix, Verizon continues to test a second supplier in the lab, O’Byrne said. The NG-PON2 equipment that service providers initially will deploy will support four wavelengths, but providers can turn up just a single wavelength to start or can add an additional four wavelengths in the future, O’Byrne said. Each wavelength can support 10 Gbps in each direction, supporting speeds of up to 8.5 Gbps for customer traffic. NG-PON2 standards specify a bonding option that would enable a service provider to combine multiple wavelengths together to support a single higher-speed connection, he explained. Verizon has been testing NG-PON2 in the laboratory for several years. The Tampa customer trials, which will run for about three months, will make sure the carrier has the IT systems in place to support the offering, O’Byrne noted. A key function that will be examined is the ability to move services between wavelengths — a capability that will provide added protection from the consumer perspective and will enable Verizon to load balance. O’Byrne noted that during light traffic periods, Verizon might reduce the amount of power used by shifting customers to a single wavelength and turning off some line cards. “You would have to be within Verizon to see the amount of positivity that is there that is similar to when we started to launch FiOS,” said O’Byrne, in an interview with Light Reading. “We have a lot of big initiatives. These are exciting times. 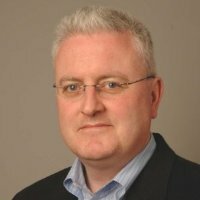 We do see ourselves on a positive cusp or tide of deploying new technologies and making a lot of changes to the network.” Vincent O’Byrne in an earlier video interview with Broadband World News. Vincent O’Byrne in an earlier video interview with Broadband World News. Those changes fit into what Verizon calls its Intelligent Network Edge strategy, designed to simplify and reduce costs across its network by eliminating the need for three separate network infrastructures and also speed its ability to deliver higher-speed services and bring fiber backhaul to the growing set of antennas that 5G deployment will require. Verizon had named two vendors for NG-PON 2 — ADTRAN Inc. and Calix. It’s now moving forward initially with Calix because that vendor “was, from a timeline perspective, ahead and ready to go out and we have a need to get this deployment out there,” O’Byrne said. Calix CEO and President Carl Russo shares O’Byrne’s excitement about what this move might mean for the bigger market. He credits Verizon with being willing and able to move quickly in adopting not just a new PON technology but a new overall approach to access networks. “When someone like Verizon, who is known for technical leadership and engineering orientation starts to deploy, it’s kind of like firing off the starting gun to the market saying, ‘Okay guys, this technology is go,’ ” he says in an interview. Russo was impressed with the speed at which Verizon is working and the Agile processes it is using. “It has been an interesting partner approach because they have functioned as an Agile partner, it has been quite enjoyable,” he says. “It’s been hard, too, but they have engaged in a way that a lot of large customers find difficult to engage. 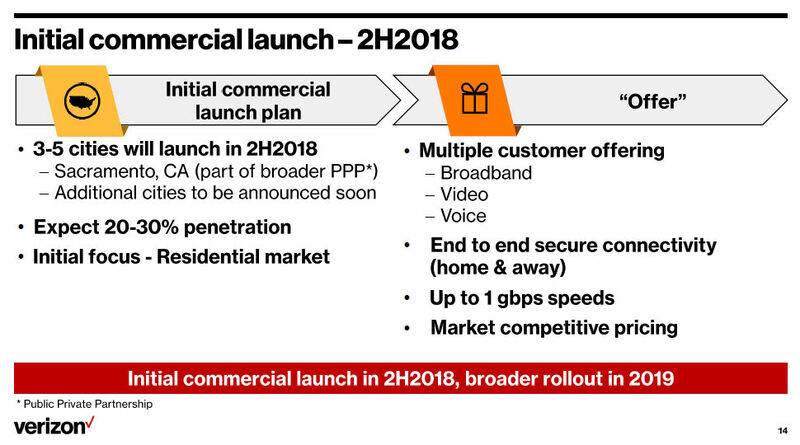 There is a lot more exciting stuff coming, this market is real and it is going to get realer.” Verizon isn’t saying where it will initially deploy NG-PON 2 in Tampa because that will be a marketing decision, O’Byrne says, and will be driven by customer demand. Because NG-PON 2 can use the same physical fiber infrastructure that is already in use by GPON, Verizon will choose to deploy where customers need more than 1 Gbit/s service, he says. Because it’s newer, NG-PON 2 technology costs more than GPON, but those costs are offset by savings in many areas, as part of the transition to an intelligent edge and software-defined access. For example, the AXOS E9-2 Intelligent Edge System combines subscriber management, aggregation and optical line terminal (OLT) functions into a single box, which offers both power and space savings and significant operational efficiencies, including greater automation, O’Byrne says. The net result is speeds up to 40 Gbit/s throughput and tunable optics for essentially the same cost. “The ability to move all three service sets into one box saves us an inordinate amount of money from processing, and just the ability to increase the speed at which we can provision systems reduces our OSS complexities that we would have,” O’Byrne says. The Verizon executive says the company is continuing to work in the labs with Adtran. He calls it “standard practice” to work with two vendors, and move forward first with one and then the other. Thanks to the interoperability trial work that Verizon has already done, producing the Verizon OMCI specification — which is being incorporated into the ITU-T G.988 standard — Calix and Adtran gear will have common interfaces, he says. (See Verizon Proves NG-PON2 Interoperability). For Calix, however, this does represent market validation of its five-year journey to become a software platform company, Russo said. “This helps people understand just how much that transformation has been completed,” he says. “AXOS being deployed at this level should make it clear what is going on with us, as a platform software company.” When Verizon was doing OSS work on FiOS we were working with the group in Tampa to make it operational. They were doing all the development there. That is consistent with your post Carol. The real question is this part of the rollout of 5G or is it a residential play. My guess is the former. Verizon was quiet open about the services to be offered when FiOS rolled out. Calix had to make some modifications to its existing NG-PON2 equipment to meet Verizon’s needs for its converged access network, Russo noted. A key requirement was the ability to switch wavelengths on the fly in less than 25 milliseconds. “That is a very challenging target to hit,” Russo said. According to Russo, Verizon also will use Calix’s AXOS software-based management system to support “always on” operation. Modifications can be made to the network without taking the network out of service, Russo said. Russo expects to see carriers deploying both GPON and NG-PON2 for years to come. The technology that may get squeezed is XGS-PON – an alternative approach to boosting FTTP speeds and capacity that adds only a single wavelength to existing PON infrastructure and which some people viewed as an intermediate technology until NG-PON2 was available, he said. Fully two years before the IMT 2020 “5G” standards are completed, Verizon announced at a “sell side analyst meeting” that it will launch a “5G” fixed wireless broadband service for residential customer Internet access in three to five U.S. markets in the second half of next year (2018). The company plans to use what they claim is “an early version of 5G” for the fixed wireless services. It’s supposedly the same technology that AT&T is testing in several cities. As I’ve been saying for quite some time, these so called “5G” commercial service offerings are way to premature, because the ITU-R WP5D won’t even complete evaluation of the IMT 2020 Radio Access Network (RAN) technologies by end of 2020! This piece in Barron’s seems to sum the mood up. Light Reading found out the “5G” equipmentt being used is supplied by Ericsson and Samsung. Verizon’s first commercial launch is planned to be in Sacramento, CA in the second half of 2018. Details of that launch, and the announcement of additional markets, will be provided at a later date, the company said. Verizon plans to commercially deploy this broadband fixed wireless access service to a total of three to five markets in 2018. Verizon already trialed 5G residential applications in 11 markets in 2017. The commercial launch is based on customer experience and on Verizon’s confidence in new technology powered by mmWave spectrum, the #1 US mobile operator said. The company sees a potential market of 30 million households in the US for “5G” residential broadband services. The initial launch in 2018 is not expected to require significant capex. Speaking at an investor conference, Verizon said its capex in 2018 would be “consistent with the past several years.” The top U.S. mobile operator previously said that its 2017 capex will be between $16.8 billion and $17.5 billion. This “5G” fixed wireless broadband access (FWBA) will use the 28 GHz spectrum band. Verizon forecasts the total addressable U.S. market for that technology is approximately 30 million homes. FWBA seems like a great idea as no fiber or wires have to be installed, but it has many challenges. Those include: poor propagation characteristics of millimeter wave spectrum. 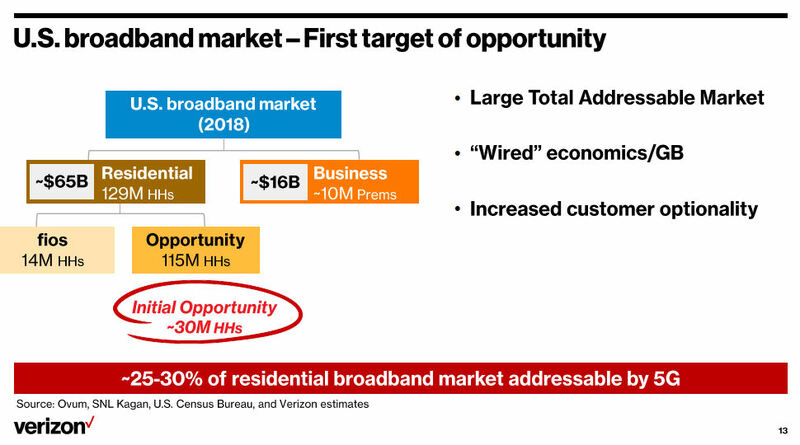 At the investor conference, Verizon said that 25% to 30% of the “residential broadband market” in the US is “addressable by 5G.” Verizon says that could be up to 30 million households. According to the US Census Bureau, in 2016 there were 125.82 million across the US. 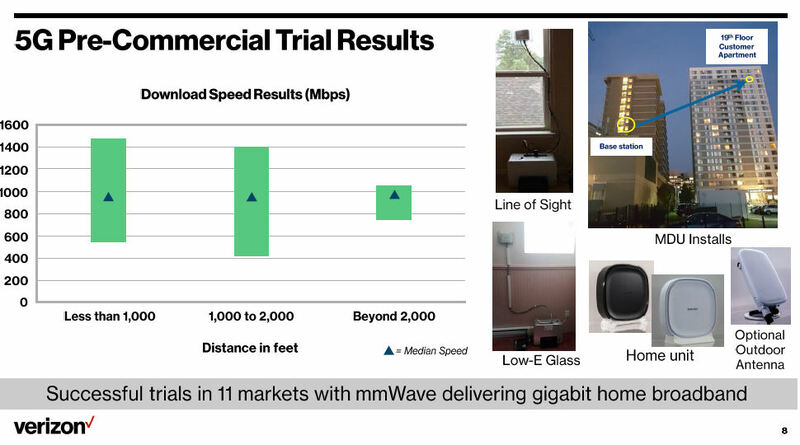 In the trials so far, Verizon said that it has served a 19 floor apartment building with the 28GHz millimeter wave (mmWave) 5G connection. The operator has been testing “home units” and “optional outdoor antennas” in the tests. Verizon has also been testing outdoor window-mount antennas that use an optical connection to an indoor WiFi router to distribute the signal. Verizon is continuing to test its own fixed 5G specification in multiple markets. It will test the 3rd Generation Partnership Project (3GPP) release 15 New Radio (NR) specification in the US in 2018. –>Note yet again that 3GPP’s NR has not even been presented to ITU-R WP5D nor have any other Radio Interface Technologies (RITs). However, 3GPP has indicated it’s intent to submit NR for consideration late in 2018 when WP 5D will start to evaluate RITs. Matt Ellis, EVP & CFO, will speak at the UBS 45th Annual Global Media and Communications Conference on December 5th at approximately 8:00 AM ET.